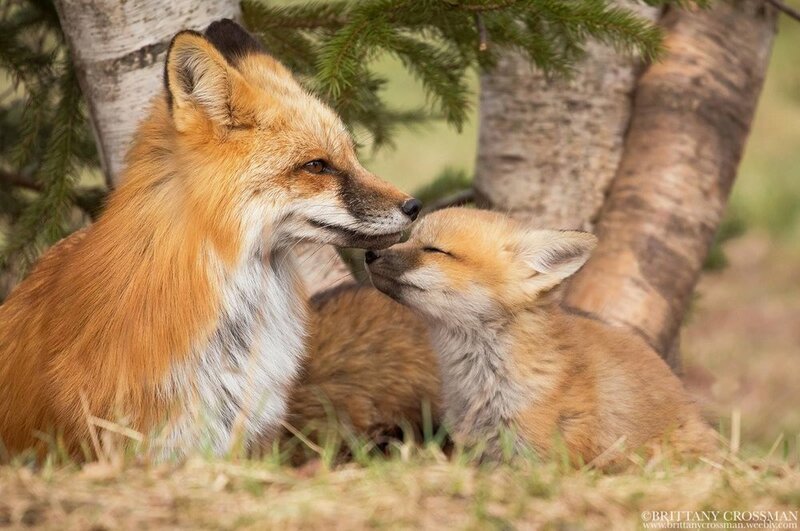 Join American photographers Amy Shutt, Ashleigh Scully and Canadian photographer Brittany Crossman of The Canid Project fromJuly 2-5, 2019 for a Teen canid-centric workshop photographing and learning about the Urban Red Foxes of Prince Edward Island, Canada. Join American photographer Amy Shutt, 16 year old American photographer Ashleigh Scully and Canadian photographer Brittany Crossman of The Canid Project for a canid-centric workshop photographing and learning about the Urban Red Foxes of Prince Edward Island, Canada. Learn how to best tell their story through photography. How you can use your photography for conservation and education. How to best tell a compelling natural history and conservation narrative as a visual story. The ethics of wildlife photography, and in this case the ethics of urban wildlife photography, and the proper way to approach urban wildlife. "Prince Edward Island is a Vulpes vulpes gem. The island has a large, healthy urban red fox population, as well as many rural foxes that call PEI home. These two options alone give a great variety of photographic opportunities, as well as learning experiences. Foxes living in different environments, urban versus suburban, behave quite differently. These differences make photographing the island foxes appealing. Another alluring aspect of PEI is the color variants of the foxes. On the island, there are three red fox pelage colorations: red, cross, and silver". Lodging is include for the nights of July 2-5, 2019. July 2, 2019 Tuesday: If you arrive to Prince Edward Island before 8pm on the 2nd enjoy a meet and greet with one of our instructors over a light dinner in Charlottetown at 8:30pm. July 5, 2019 Evening: The workshop will conclude the late afternoon of July 5, 2019. Demo on Trap Camera DSLR photography as it applies to urban wildlife photography. The workshop price does not include flights to and from Prince Edward Island, Canada, travel insurance or meals. We will provide transportation for participants to and from the airport and during the workshop. 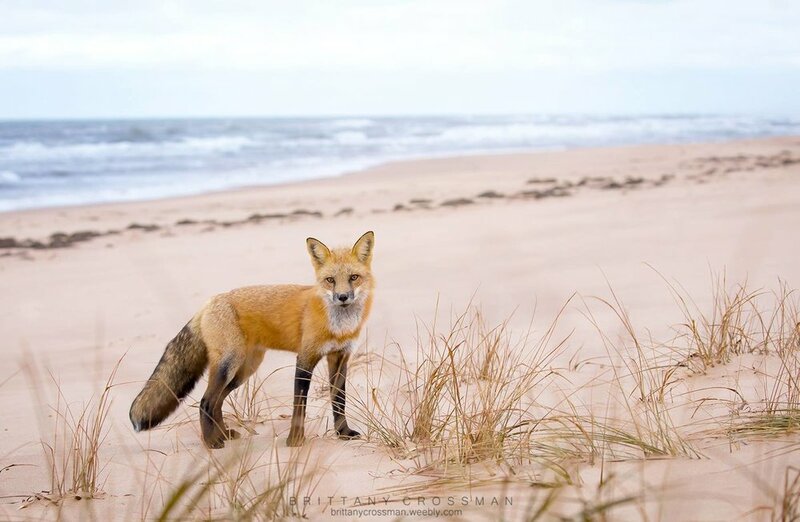 Brittany Crossman is a wildlife photographer based out of New Brunswick, Canada. The love for wildlife started at an early age, and remaining consistent throughout the years leading her to study photography at Mount Allison University. Over the years, she has photographed many different species, but the Red Fox holds a special place in her heart. Brittany’s work has been published by Canadian Geographic, The Canadian Wildlife Federation, Canadian Wildlife Magazine and online at National Geographic. Brittany also donates her prints to wildlife rehabilitation centers such as Hope for Wildlife and The Atlantic Wildlife Institute for fundraising for wildlife in their care. Brittany’s goal is to capture intimate moments that tell stories that inspire people to protect this precious fauna. Amy Shutt specializes in nature and wildlife photography with a focus on documentary and conservation photography. Amy also leads wildlife photography classes and workshops throughout the the Americas, Canada and Africa. 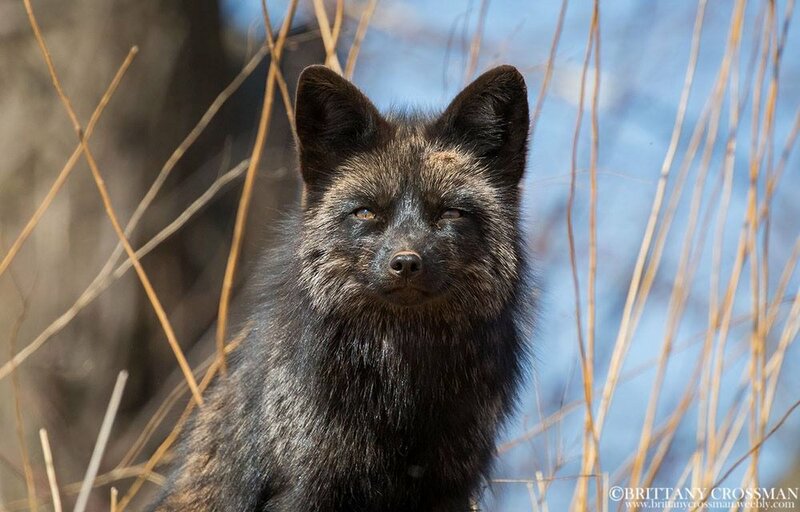 She is the Director of The Canid Project, a newly formed 501c3 non-profit that focuses on using photography and narrative as creative tools to educate on the world's wild canids. Her interest in foxes and coyotes, background in wildlife rehabilitation, and curiosity about the human and wild animal relationships in our world, brought her to start this project. She hopes to educate and inspire through all of her photographic endeavors. Amy's work has been published in books and magazines and her work has been awarded by the Nature's Best Windland Smith Rice International competition. Please include any questions you have in the message area below. LensProToGo is the perfect place to rent cameras, lenses, and other photography and video gear including Canon, Nikon, Kessler, FreeFly Systems, Steadicam, RedRock Micro and much more, all shipped to anywhere in the US. Receive an exclusive discount for your rentals when signing up for a workshop through The Canid Project.